This weekend, attendees of the San Diego Comic Con are going to get a good look at the trailer for the Warcraft movie. While those of us not attending don’t get quite the same experience, it doesn’t exactly hurt to take a look at the film’s cast of characters and who those characters really are as it stands in Warcraft‘s history. 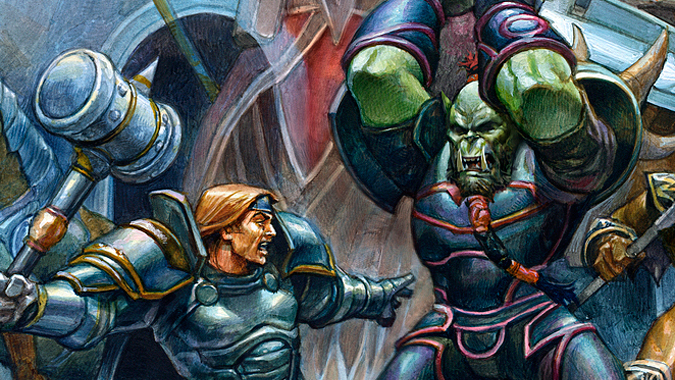 Of all the orcs of the newly formed Horde, the most important of them all was Blackhand — although there are those that would argue that his importance is largely self-proclaimed, it’s not really true at all. Blackhand wouldn’t have become Warchief had he not had the support of the rest of the orcish clans. And Blackhand definitely wouldn’t have become Warchief if he hadn’t been a formidable force of strength and cunning in his own right. Did Gul’dan take advantage of the leader of the Blackrock Clan? Certainly he did, but this didn’t make Blackhand an ineffective leader at all. 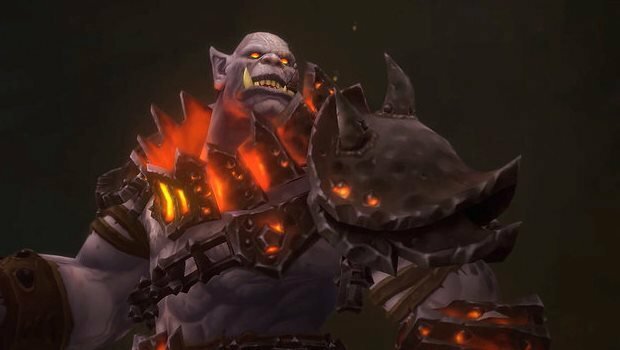 We had a lot of new lore introduced in Warlords of Draenor, but that version of Blackhand definitely isn’t the one we’ll see on film. 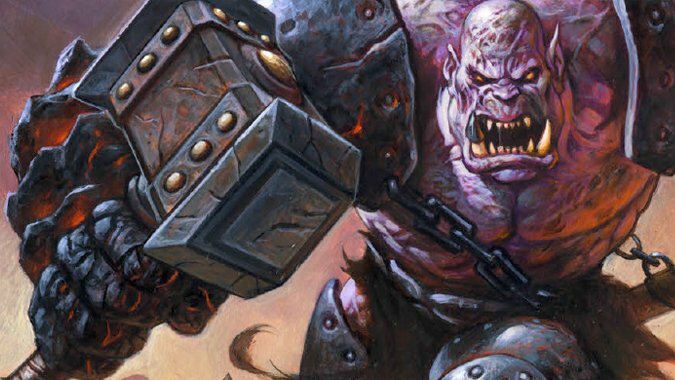 So just what kind of orc was Blackhand in the original iteration of Azeroth and Draenor’s tumultuous history, and what can we expect to see come out of the upcoming Warcraft movie? The chieftain of the Blackrock clan was a warrior through and through, and absolutely dedicated to leading his clan, an orc who always managed to win every battle he dove into, find anyone’s weakness and take full advantage. He was an inspirational force to his men, and when his second in command, Orgrim Doomhammer, tried to avoid the prophecy associated with his namesake weapon, the chieftain was there to once again turn the tides in favor of the orcs. Orgrim Doomhammer was an unusual orc, but the Doomhammer itself was even more unusual – a prophecy associated with the weapon said that the last of the line to carry it would bring doom to the clan. Hoping to re-make destiny itself, Orgrim took the weapon back to the pool in which it was forged, but the elements reclaimed the hammer and refused to return it. And in the darkest hour of the Blackrock clan, when extinction at the hands of the ogres seemed inevitable, Blackrock’s chieftain found Orgrim at that pool, contemplating his own demise, the demise of his people, and blaming himself for trying to fix the Doomhammer’s destiny in the first place. The chieftain wouldn’t let that stand. Rather than let Orgrim try and retrieve the hammer, he stepped in to do so himself, and told Orgrim to lead the Blackrock clan to victory after his almost certain death. But he didn’t die. Instead, impressed by his grim resolve, the elements granted him a boon – the knowledge of forging weapons that would turn the tide of battle, and a new name to go with his now blackened hand – Blackhand. Against all odds, he led his clan to a decisive victory over the ogres, and his reputation grew as a result. But Blackhand had his own weaknesses, and with the rise of his popularity, so grew his thirst for power – and his ego as well. Despite this, he was tremendously popular among all the orcish clans, because they knew that Blackhand had earned his excellent reputation through both his genius tactical prowess, and the respect he demanded from those that followed him. This, unfortunately, brought him directly in sight of Gul’dan. A puppet of the Burning Legion, Gul’dan was looking for a puppet of his own – one that could united the clans of the Horde under one banner, and do the Legion’s bidding. So Gul’dan approached Blackhand and took advantage of the orc’s ego, offering compliments, praise, and a veneer of deep respect. He told Blackhand of the Shadow Council very deliberately, even offered him a place of supposed power on it, and in return asked that he lead the united armies of the Horde to victory. Gul’dan was one of the most conniving, power-hungry, underhanded orcs the world had ever known, and Blackhand easily fell into his hands, convinced that Gul’dan held for him the respect of an equal. 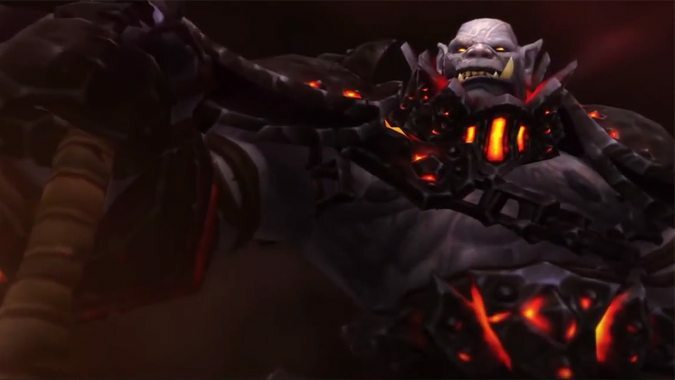 Although the position of Warchief was announced to be an elected one, it was really no surprise to anyone when Blackhand won and was given the title. And Gul’dan quickly put the orc to work using subtle manipulation and outright bribery. He convinced Blackhand that all Blackrock shaman should become warlocks, and Blackhand in turn commanded all shaman of the Horde to do the same. When Gul’dan came up with a plan to accelerate the aging of young orcs in order to provide able-bodied soldiers, Blackhand offered up his own children for the process. The united clans of the first Horde succeeded in their mission, driving the draenei almost to extinction and willingly carrying out Blackhand – and by extension Gul’dan and the Burning Legion’s – demands. And once all was said and done, the Horde consumed the blood of Mannoroth, an act that tied them, albeit unwittingly, to the service of the Burning Legion. After taking down Shattrath City and decimating the draenei, the Horde found itself with a new task to carry out on a new world – Azeroth. Blackhand led the Horde through the Dark Portal and into Azeroth, laying siege to the Kingdom of Stormwind and beginning the First War. Through it all, Gul’dan continued to plot and scheme with the Shadow Council, having been promised great power by Medivh, a human sorcerer harboring a dark secret of his own. Within Medivh was the spirit of Sargeras, leader of the Burning Legion. Blackhand was unaware of all of this, consumed with the prospect of victory over the humans of Azeroth above all else. Yes, Warchief Blackhand led the Horde to victory on Draenor, led them right through the Dark Portal on the path of conquest, but he did so with little care or concern for just what all this conquering was doing to his people. He followed Gul’dan’s orders at the prospect of more power, more victory, but he ignored the fact that his people were being corrupted from within, bound to dark magic that killed the once-verdant lands of Draenor and slowly gave his people’s skin the green cast they still bear today. And in the end, it was his second in command – Orgrim Doomhammer, the orc he delivered from misery into victorious triumph – who dealt the deathblow to Blackhand’s reign. Although Orgrim was loyal to Blackhand, he couldn’t help but see what this dark and twisted path had done to the orcish race, and he couldn’t help but realize there was only one way to stop them from falling any further. And Orgrim had to do what needed to be done. When Gul’dan slipped into a coma after trying to pry the secrets and power of Sargeras out of Medivh’s mind at the moment of the sorcerer’s death, Blackhand was left vulnerable. Orgrim seized that moment and struck, leading those troops that were loyal to his cause in a surprise attack that caught Blackhand off guard. After a mighty battle, Blackhand was slain, leaving Orgrim Doomhammer as Warchief of the Horde, free to mop up the Shadow Council and lead the Horde to eventual victory over Stormwind, ending the First War. Blackhand was a ruthless tactical leader, cunning and successful, but even he didn’t see his death coming from his second in command. He was as blind to Orgrim’s eventual betrayal as he was to the slow corruption of his people, and it cost him his life in the end. 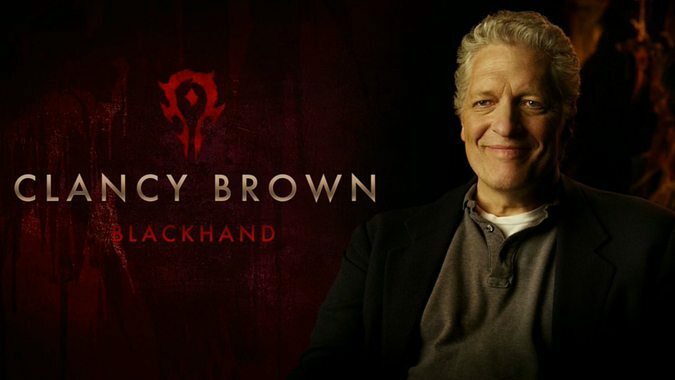 In the upcoming Warcraft movie, Blackhand will be played by Clancy Brown. It’ll be interesting to see what parts of Blackhand’s story make it to film – the tale of Blackhand’s name was told very recently in the Blackhand comic released with Warlords of Draenor, so we may not see that referenced on film at all. But Blackhand is a pretty amazing character in his own right – an orc who was so devoted to the idea of leading his people to victory that he forgot to look at what he was doing to his people in the process. I’m also looking forward to seeing more of the dynamic between Blackhand, Orgrim, and Durotan during the film, something that has only been briefly mentioned in comics and novels, but never really seen on a more personal level. We’ll have to wait and see just what kind of take we’ll see on the first Warchief of the Horde when the Warcraft movie is released to theaters next year.